Last week, we finally had few days of sun, but apparently, that’s all it took for my home to turn into a full-blown greenhouse (and I’m not mad about it)! I absolutely love the life and energy plants bring to a space. Along with the air-purifying benefits these botanical friends have, I swear I get a bit of subconscious guilt with them around. Suddenly I’m recycling, eating more fresh vegetables and drinking insane amounts of water! Call me crazy, but plants are literally making me a better person. 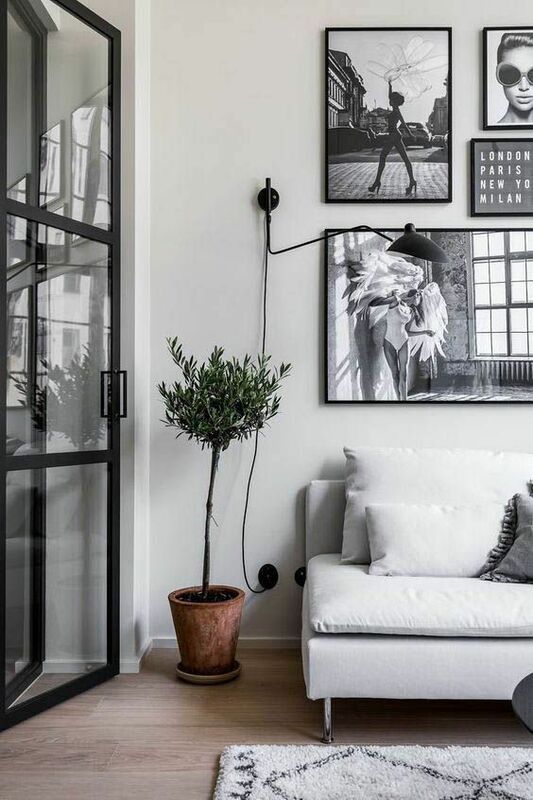 Now as much as I truly love the urban jungle look, I need to remind myself that 1) plants are expensive, 2) I’ve killed a handful, and 3) the minimalist interior style I gravitate towards doesn’t leave room for a total indoor jungle. 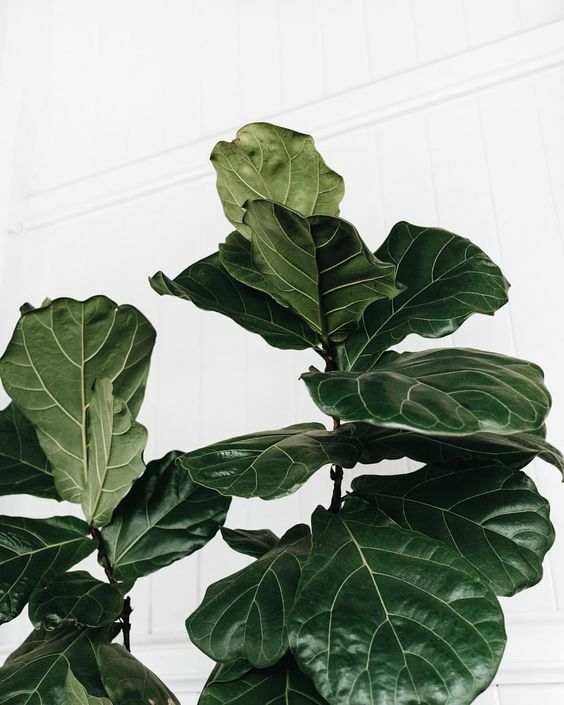 So in the spirit of the minimalist vision that I have for our new apartment, here are 10 of my favorite low-maintenance plants that look stunning against the backdrop of a modern, minimal home. Look at those beautiful deep-green-burgandy leaves! The rubber plant is notoriously durable and does well in most conditions. Keep the light bright, but indirect, and water when the top two inches of the soil become dry. Super chill. AND you can manipulate how it looks quite easily. This guy will basically grow as big as you want (stake it to encourage vertical, tree-like growth) and will stop growing taller when you prune the top once. My bird of paradise was the first plant I ever owned, and is still my favorite. This majestic creature makes a statement. Minimal arms that lead into dramatic, giant leaves. 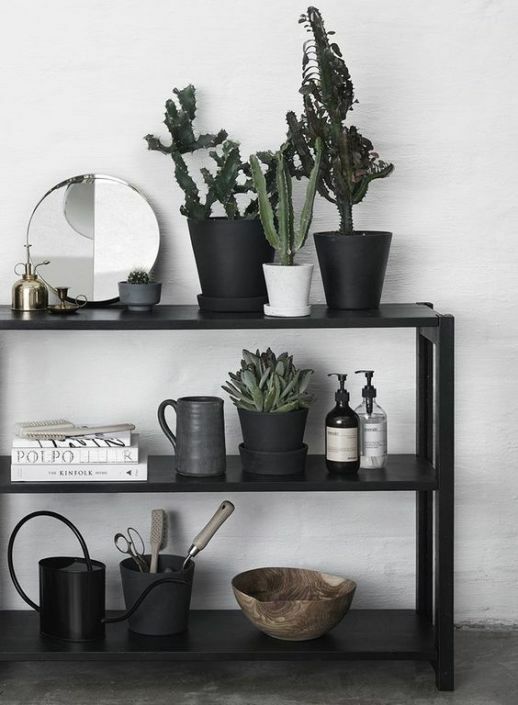 Like the rubber plant, keep it in bright but indirect light, but water when the soil is thoroughly dry. (Spoiler alert: almost every plant on this list just wants bright indirect light). Another favorite for its iconic jungle-vibe leaf. Even a single monstera branch in a vase of water makes an impact. These guys are really fascinating too – they can climb up walls or stay low and creep around the ground. 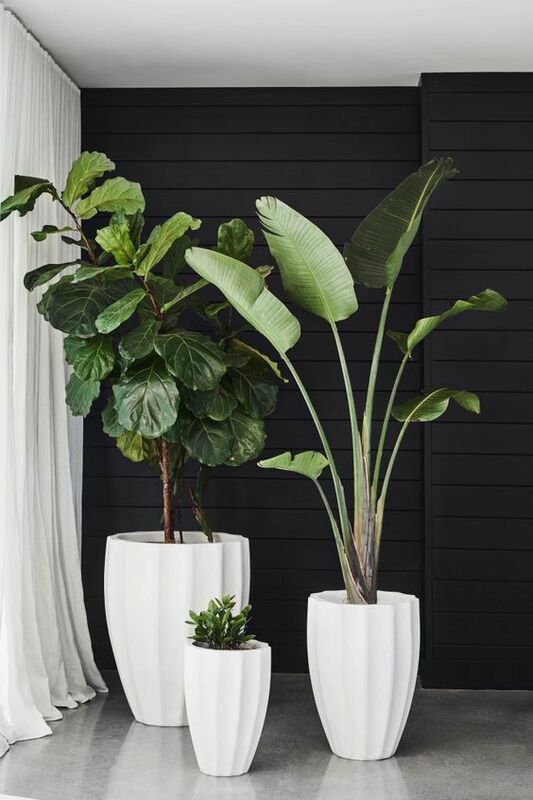 They’re best kept in bright indirect light for maximum growth, although the monstera can tolerate really any level of light! This guy does only wants to be given water when the top 2 inches of the soil become try, but don’t worry if you forget a few times as they can tolerate periods of drought. Known for being one of the hardest plants to kill. 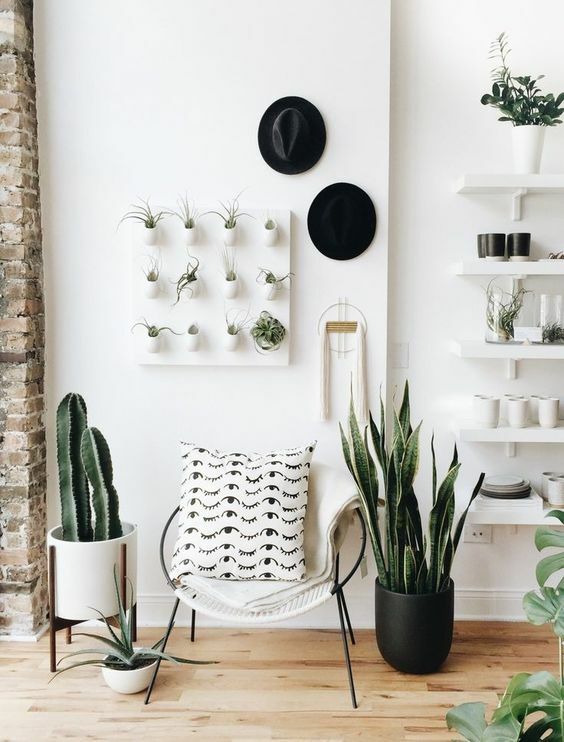 The contrast of a snake plant’s clean lines look stunning next to any plant with lush foliage (my fave is next to a fiddle, bird of paradise or rubber plant)! And they come in so many interesting varieties! 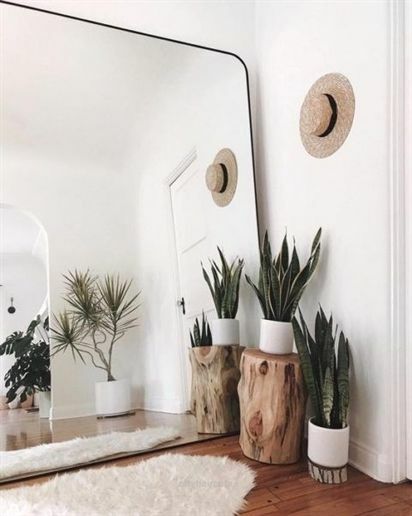 I just discovered the moonshine (Sansevieria trifasciata) and the Sansevieria Bantels Sensationsilver varieties and am in awe. AKA the one we all know and love from every interior, ever. But for good reason. The fiddle has such vibrant, waxy leaves and a good amount of structure that allows it to fill a room. Of all the plants on this list, the fiddle is slightly more “fussy” — but that doesn’t make it hard to maintain; it just means it likes stable conditions. Avoid moving it around a lot, and make sure it’s not sitting next to a window, door, or electric heater. Drafts of cold air from a window or the dry air from electric heaters create an unstable environment. Once you’ve found a spot with bright, indirect light, water when the top of the soil gets dry and you’re set! 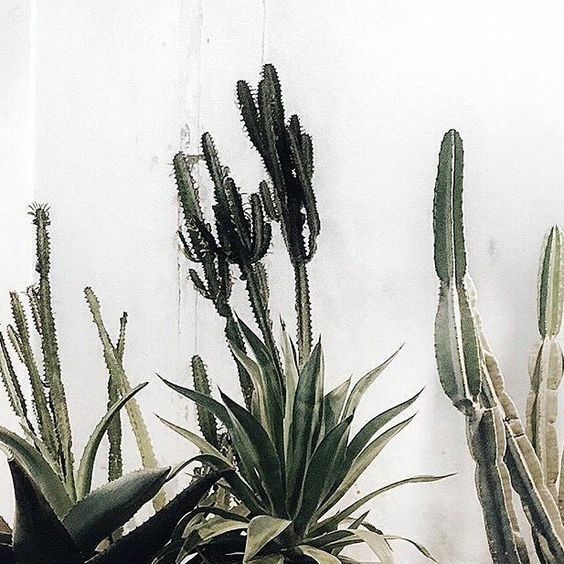 Truly minimal but far from boring, I find cacti SO interesting! There are so many odd varieties and shapes that give these plants their own unique personalities. I know, I’m talking about them like they’re human, but tell me you own a cactus and haven’t named it?? 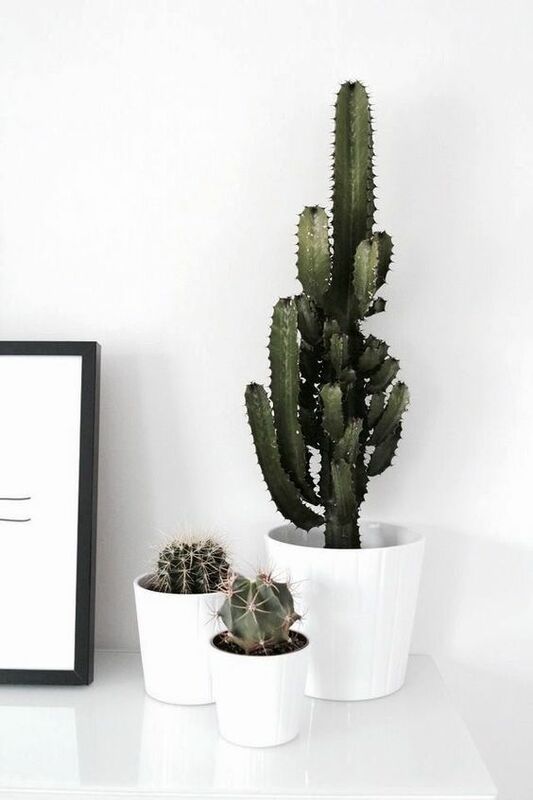 Set your cactus child up for a long, fulfilling life by potting him in well-draining soil (I just buy cactus mix off the shelf), in a pot with drainage holes. I maybe water mine once from November – February, during his dormant season, and then once a month in the summer. Give him the brightest light available and he will love you forever! 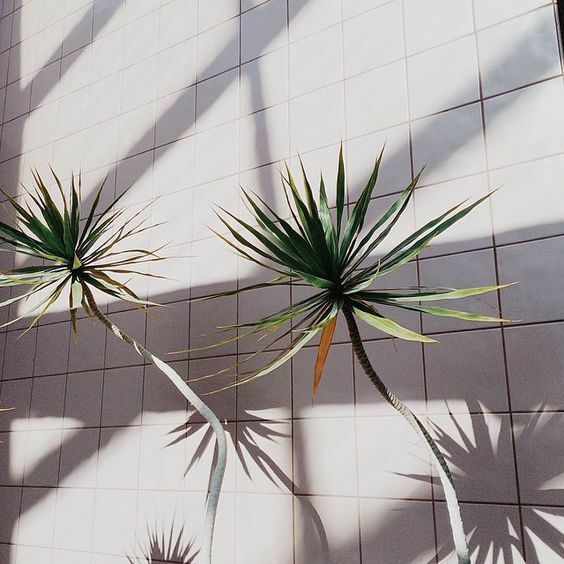 I admit I have never loved Dracaena’s until I came across the dracaena marginata on Pinterest. A bit more uncommon, I love its skinny, spindly branches and airy, wispy leaves. These babies need moderate to bright indirect sunlight and only need to be watered when the top 2 inches of the soil dry out (shocker). 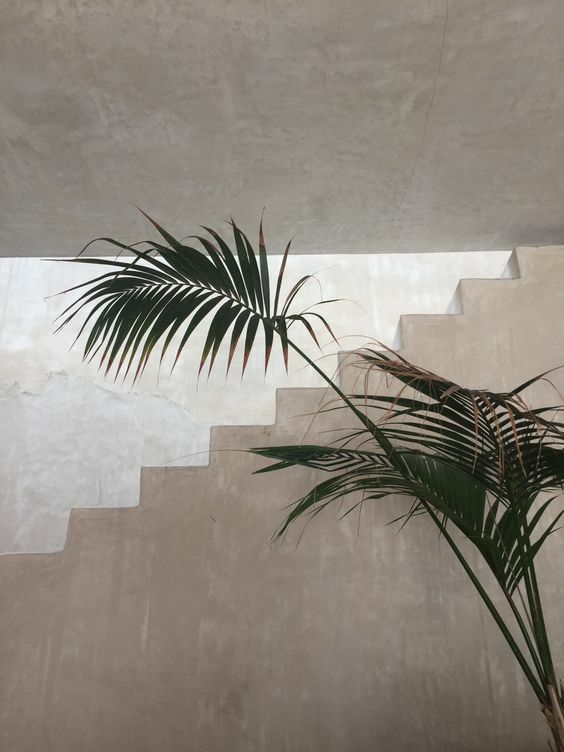 I’ve been obsessed with adding a chinese fan palm to my collection after spotting Hilton Carter’s lovely plant studio. WOW. Like the bird of paradise, they have long minimal arms but then fan out into these beautiful tropical leaves. As tropical as they are, the chinese fan palm can actually tolerate cold temperatures, although it thrives best in typical indoor temperates and bright indirect light. 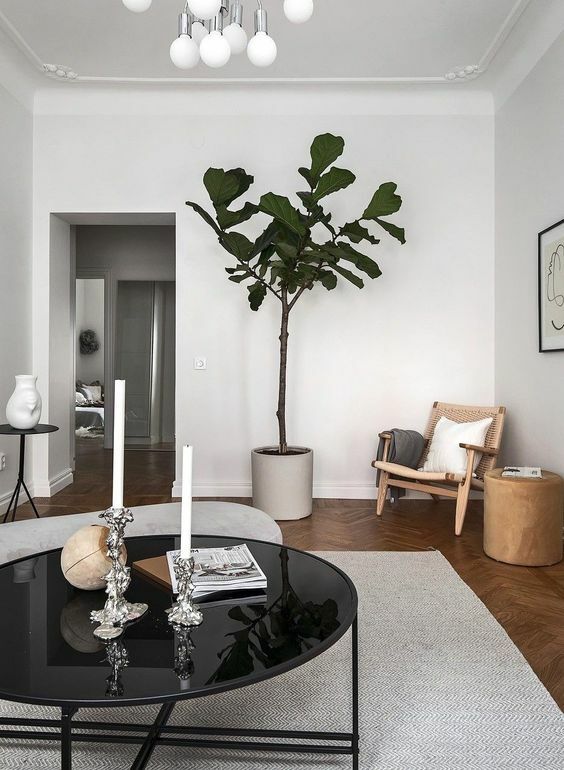 Word on the street is that the olive tree is the new fiddle leaf fig. I can see why! 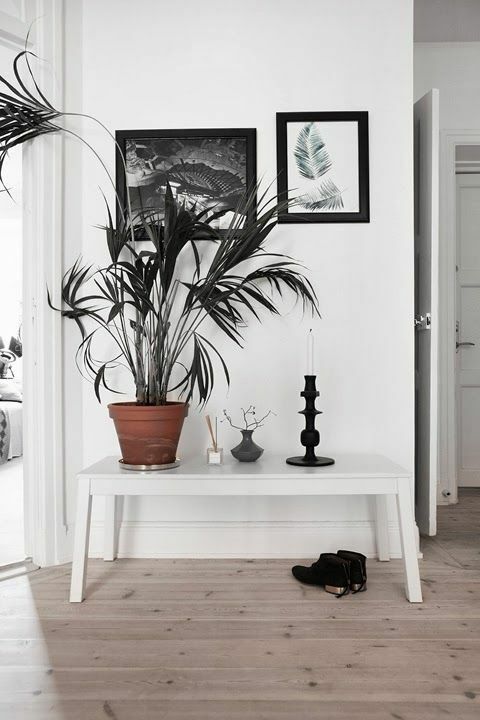 The muted, silver-grey leaves and neutral branches blend in well with monochrome rooms. 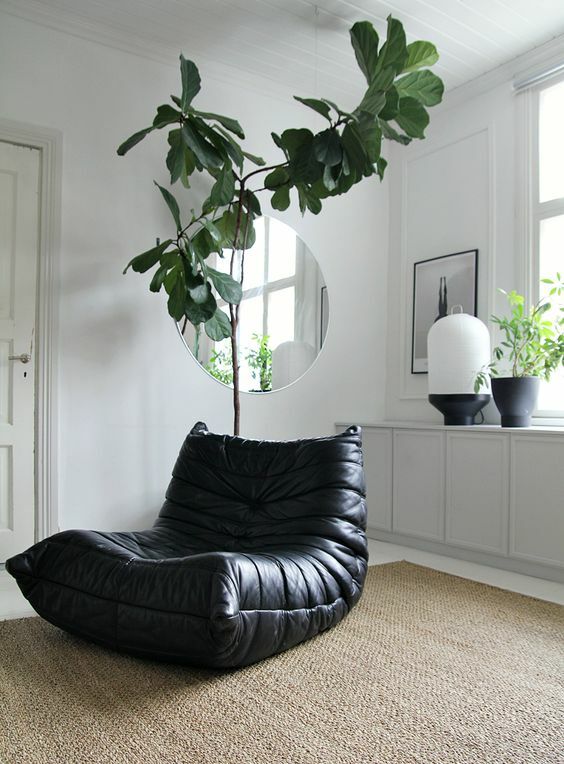 The olive tree is a good alternative if the bright green fiddle leaf fig is too disruptive for your liking. 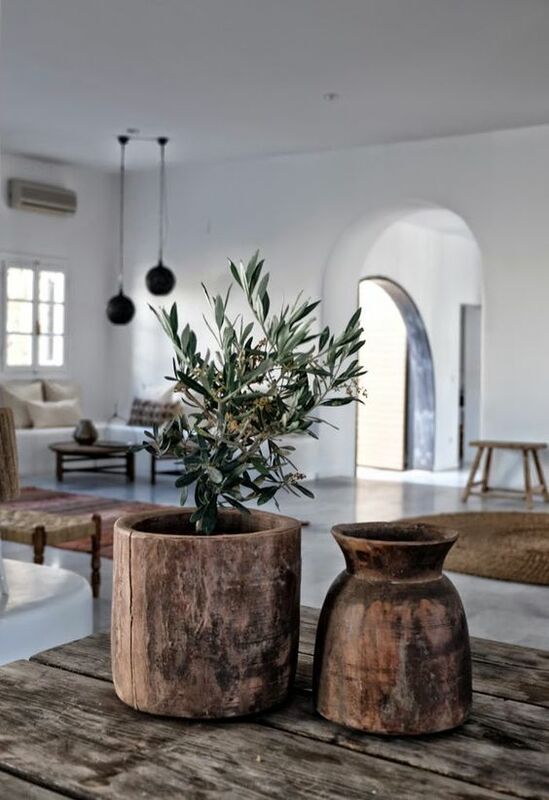 The olive tree needs a bright spot that receives at least 6 hours of direct sun a day (think a southern-facing window). These guys are native to the Mediterranean, so they can actually tolerate dry air. Water when the top inch of the soil is dry, and you are set. Now go and grow your indoor jungle! 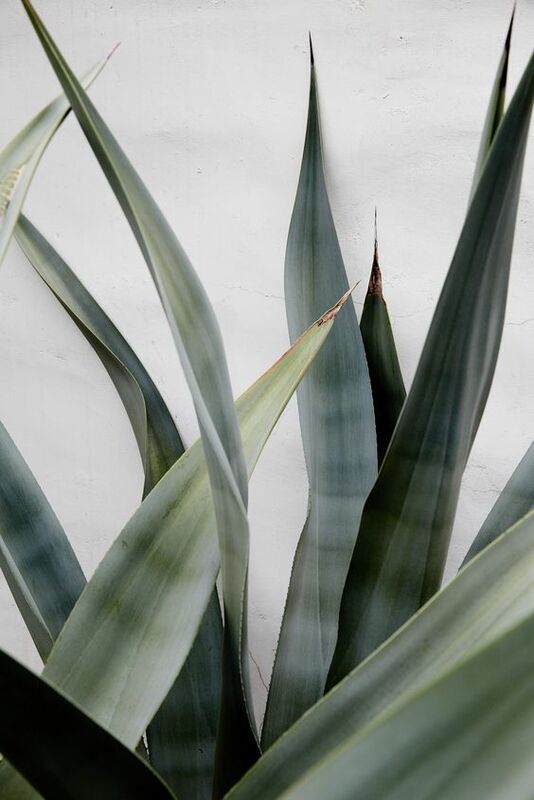 Breathe in the purified air and bask in the glory of your plant sanctuary. And hop on over to the Plants & Pots section of my shop page if you’re looking for modern, minimal pots to house your new plant children. 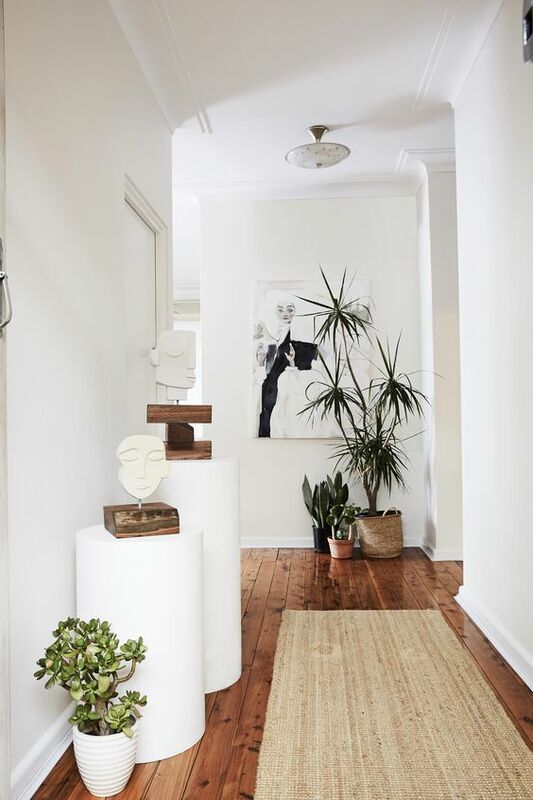 For more botanical inspo, check out my Indoor Plants Pinterest board. like what you see? subscribe to receive notifications of new posts by email. no spam, just inspiration.